What's the best camera? Okay, we admit it – it's an impossible question to answer, but we'll do our best to make sure you end up buying the right camera for you. The best camera for a pro photographer is a million miles from the best camera for an adventure sports nut or a novice shooter. But if you just want to know what we think are the top ten best cameras you can buy right now – regardless of user level or price point – then keep on reading. What we've done then is to pick out what we think are the standout cameras in their fields. This may be because they have the most amazing features and specifications, because they're amazing value for what they offer or because they are just brilliant at the job they've been designed for. All these are cameras have been extensively tried and tested by ourselves, so if you want to know any more about any of them as well as check out sample images, just click the link to the full review. Along the way we'll explain some of the jargon and the differences between cameras, though if you need a bit more help deciding what kind of camera you need, you can get a lot more information from our special step-by-step guide: What camera should I buy? 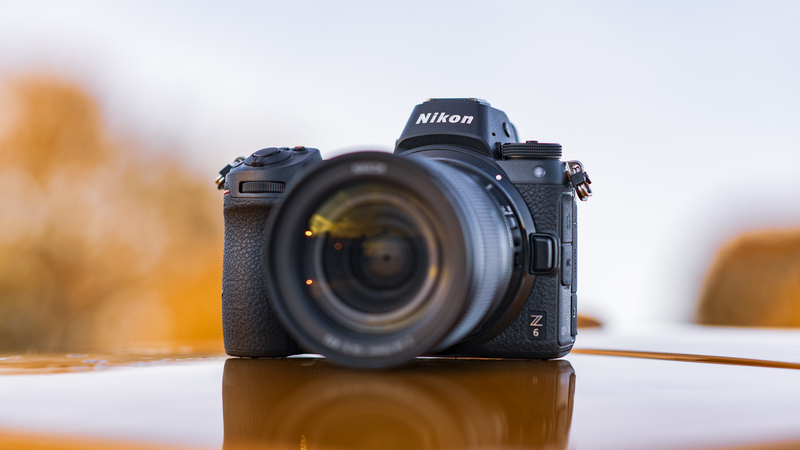 Our top mirrorless camera until recently was the brilliant Alpha A7 III from Sony, but the arrival of Nikon's new Z6 means it now just misses out, though it's very close. Nikon has been late to the full-frame mirrorless party, but the wait's been worth it. Launching alongside the 45.7MP Z7, the Z6 is hard to beat for the price and offers a stunning blend of features and performance that makes its a brilliant choice for the enthusiast photographer or pro looking for a second body. The 24.5MP full-frame sensor is excellent, while the 273-point AF system (while not quite as sophisticated as the 693-point AF in the A7 III) and 12fps burst shooting should mean you'll never miss another shot. Handling is polished too, while the large and bright electronic viewfinder is a joy to use. Excellent. 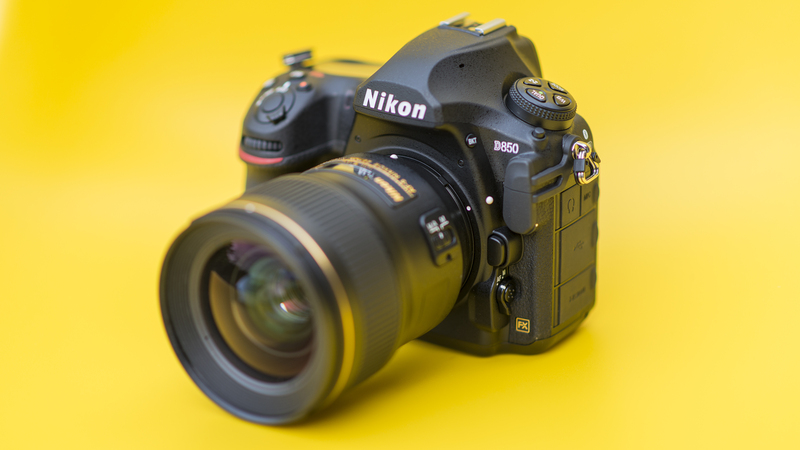 It may be expensive, but if you're looking for the best DSLR money can buy right now, then Nikon's fabulous D850 DSLR pretty much ticks every box. Packing in a brilliant 45.4MP full-frame sensor, image quality is simply stunning. But that's just half the story. Thanks to a sophisticated 153-point AF system and 9fps burst shooting speed, the D850 is and incredibly versatile piece of kit, just a home shooting action and wildlife as it is landscapes and portraits. The arrival of the Z6 and Z7 might overshadow the D850, but this is still a brilliant camera. 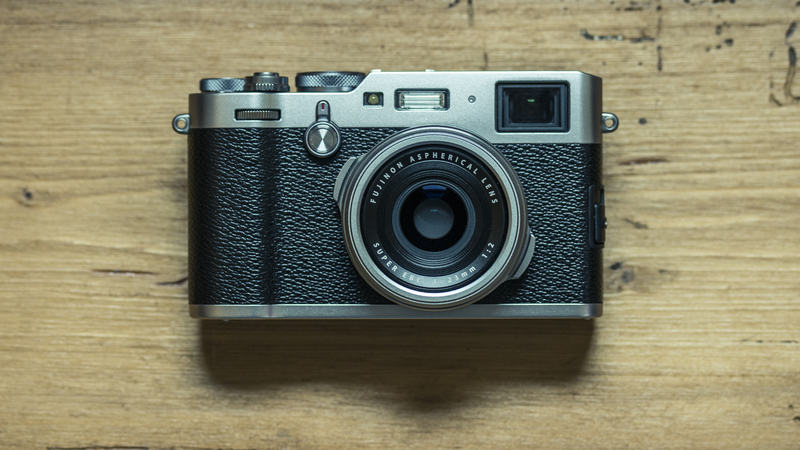 The X100F is a thing of beauty both to look and and to use, but it's not for everyone. It's a relatively large, retro-styled compact camera with a fixed focal length 35mm equivalent f/2.0 lens, and designed for photographers who hanker after the weighty feel and manual external controls of traditional 35mm film rangefinder cameras. It's a relatively specialised camera and most owners are likely to have other cameras too. It may be a touch pricey, but there's nothing quite like it – it's an exquisite camera to look at and to shoot with. Nikon's D3500 is our top pick when it comes to entry-level DSLRs. While it shares quite a few features with the D3400, upgrades for the D3500 include a new 24.2MP sensor, better battery life (to a staggering 1,550 shots) and refined exterior controls. 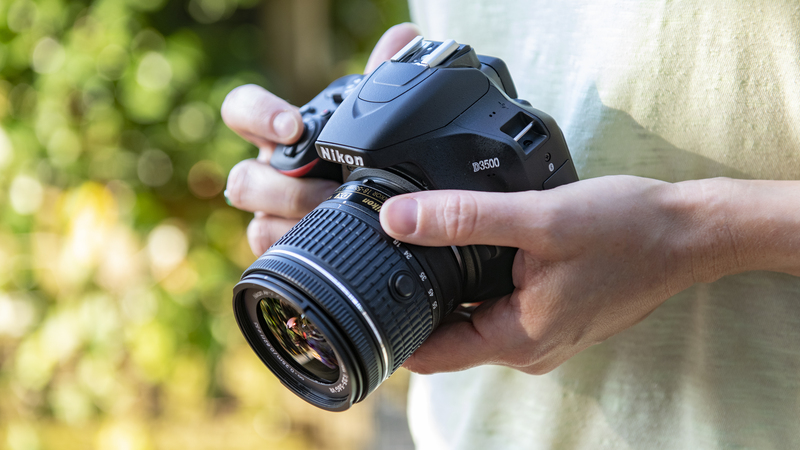 The D3500 is a great camera to pick up and use if this is your first DSLR, with its clever Guide Mode a useful learning tool that gives real-time explanations of important features. There's no touchscreen, but otherwise, this is our favorite entry-level DSLR right now. 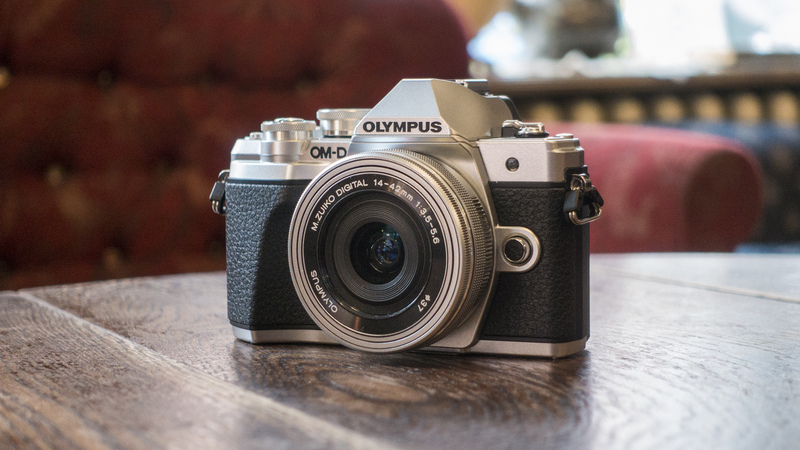 While the main specification of the OM-D E-M10 Mark III doesn't offer a huge upgrade from the Mark II, Olympus has refined and tweaked one of our favorite mirrorless cameras to make it an even more tempting proposition for new users and enthusiasts alike. Some will criticise the smaller Micro Four Thirds sensor format (roughly half the area of APS-C) but the effect on image quality is minor and it means that the lenses are as compact and lightweight as the camera itself. Sporting a 5-axis image stabilization system, decent electronic viewfinder, an impressive 8.6fps burst shooting speed and 4K video, it's no toy – the E-M10 Mark III is a properly powerful camera. 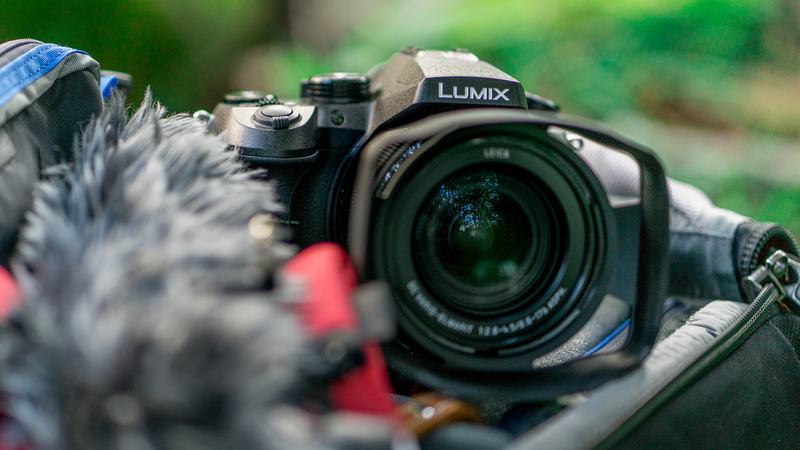 The Panasonic Lumix ZS200 (known as the Lumix TZ200 outside the US) is the best travel zoom camera right now. This is thanks in part to the camera using a large 1.0-inch sized sensor that enables the pixels to be about 2.4x bigger than they are in models like the Lumix ZS70 / TZ90, and this helps the ZS200 produce much higher quality images. The zoom isn't quite as broad as some though, but the 15x zoom should be more than enough for most shooting situations, while there's a built-in electronic viewfinder that makes it easier to compose images in bright sunny conditions. 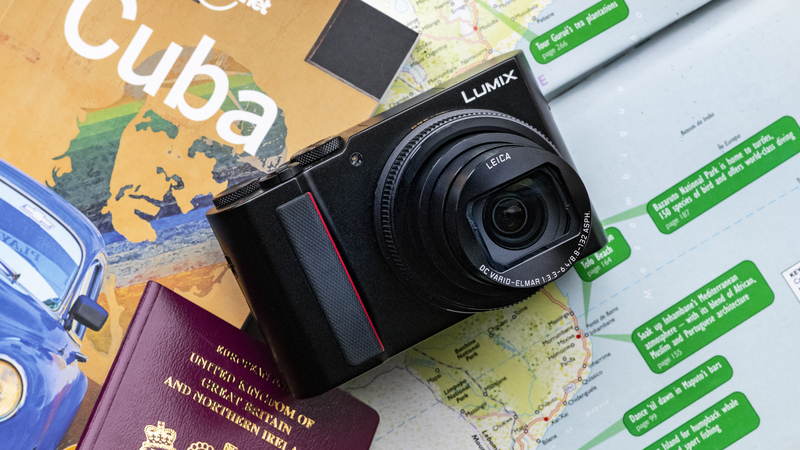 Add 4K video recording, along with Panasonic's 4K Photo mode to help capture 8MP images of fleeting moments, and you've got a very capable travel companion. If you're looking for even more performance (and have deeper pockets), check out Sony's brilliant Cyber-shot RX100 VI. 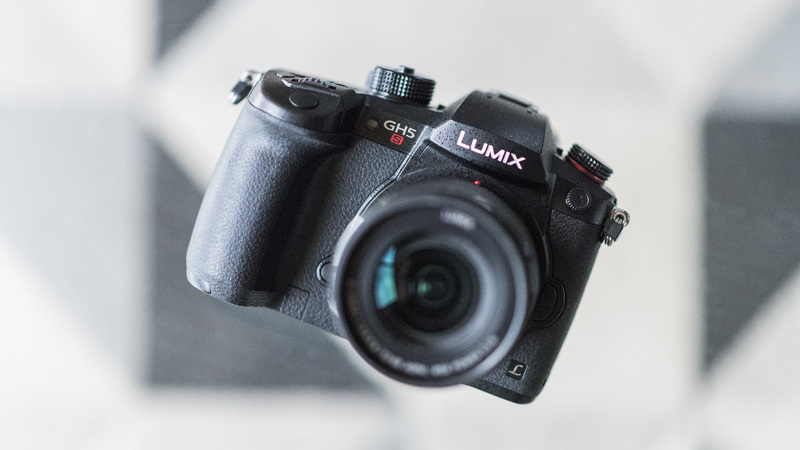 While it can shoot stills quite happily (although at a pretty limited 10.2MP resolution), the Lumix GH5S should be seen first and foremost as a video camera – if you want to do both you've got the Lumix GH5 to fill that brief, thanks to it's 20.3MP sensor and built-in image stabilization system. The GH5S's breadth of video features is incredibly impressive, including the ability to shoot cinematic 4K footage at up to 60fps. If you want to shoot professional-quality footage without remortgaging your house to buy a pro video camera, you won't find a better video-focused camera right now. 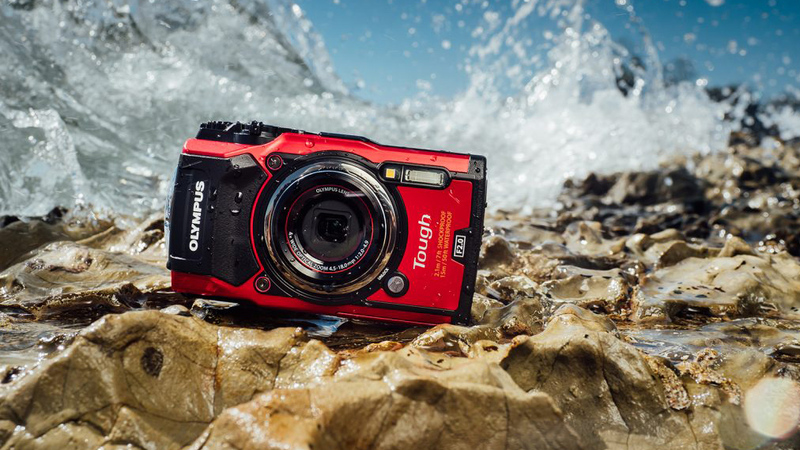 The Tough TG-5 from Olympus is built to survive pretty much anything you could throw at it, literally. Waterproof down to depths of 15m, don't mistake it for being merely an underwater camera; being waterproof is also useful for hikers, bikers, kayakers, and skiers. In fact, any outdoor pursuit is game for the TG-5, which is crushproof to 100kg and drop-proof from 2.1m. It can even be used in temperatures as low as -10°C. Olympus has taken the unusual step of actually dropping the pixel count from 16MP on the TG-4 to 12MP on the TG-5. Add in raw file support and this makes image quality that bit better than its predecessor, while it can shoot 4K video at 30p or high speed footage at 120p in Full HD. Our pick of the waterproof bunch. We don't normally like bridge camera very much because the ultra-zoom design forces the makers to use titchy 1/2.3-inch sensors the same size as those in point-and-shoot cameras. You get the look and feel of a DSLR, but you certainly don't get the image quality. But the Panasonic Lumix FZ2000 (known as the FZ2500 in the US) is different. It sacrifices a huge zoom range in favour of a much larger 1.0-inch sensor – a compromise most serious photographers will applaud. While the zoom tops out at 480mm equivalent, which is relatively short for a bridge camera, that's still plenty for all but the most extreme everyday use. We'd certainly sacrifice a little for of zoom range for better and faster optics. We love the FZ2000 because it delivers both image quality and zoom range, while also offering full manual and semi-manual controls, the ability to shoot raw files and 4K video. 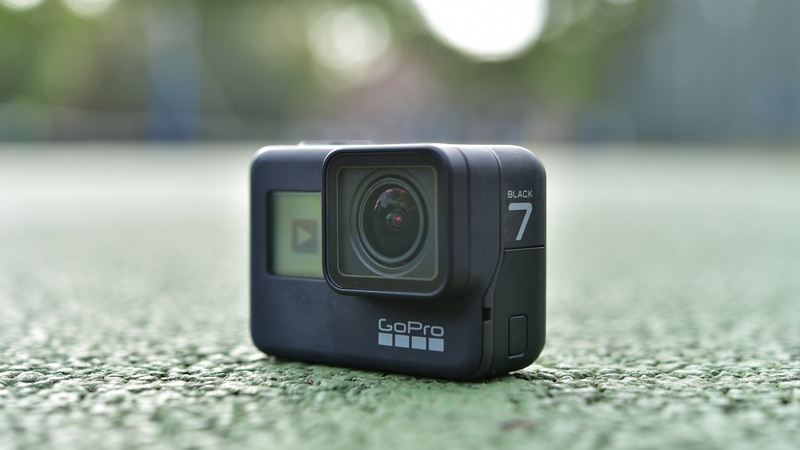 The GoPro Hero7 Black is without question the best action camera you can buy. It's pricey compared to some of the competition, but it's got a wealth of features, including shooting 4K footage at up to 60fps, as well as super-slow-motion 1080p video at 240fps. The improved HyperSmooth image stabilization system is brilliant, as well as footage offering a wider dynamic range and better low-light performance compared to the Hero6 Black. That's not forgetting it's waterproof down to 10m, has a useful 2-inch touchscreen, while the updated user interface makes it a much more polished piece of kit. If you want the best action camera, you're not going to go wrong with the Hero7 Black. Just got an iPhone for Christmas? Download these apps!